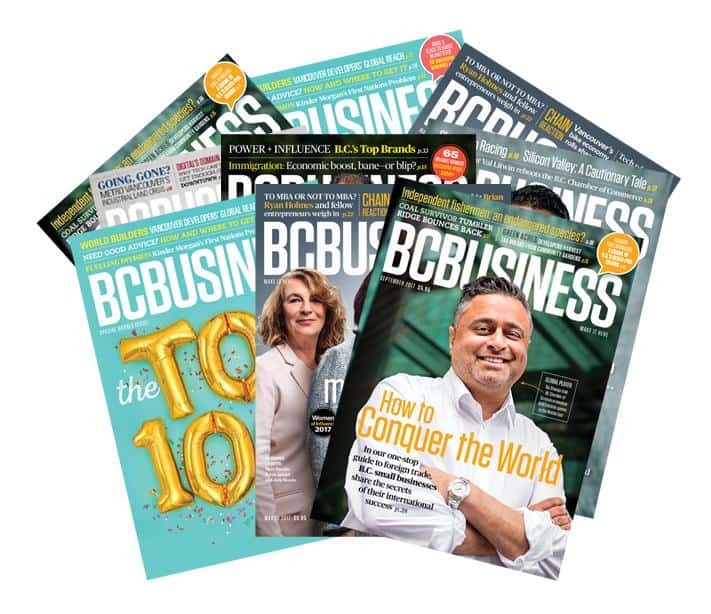 Get BCBusiness subscription for only $1.50/month! Take advantage of this one time offer to get a subscription to BCBusiness for only $1.50 a month. Not only is this a great deal, saving you time and money, but the price will never change and you'll never have to worry about renewing it. Don't miss your chance to take advantage of this amazing offer. Get your $1.50/month subscription below. *If you are a current subscriber just give us a call at 604-299-7311 and we can set you up with this great deal.